The white captain has played 778 games between the national league and ACB. Pablo Laso praised him: "Every day he is prepared to sacrifice himself for the team". 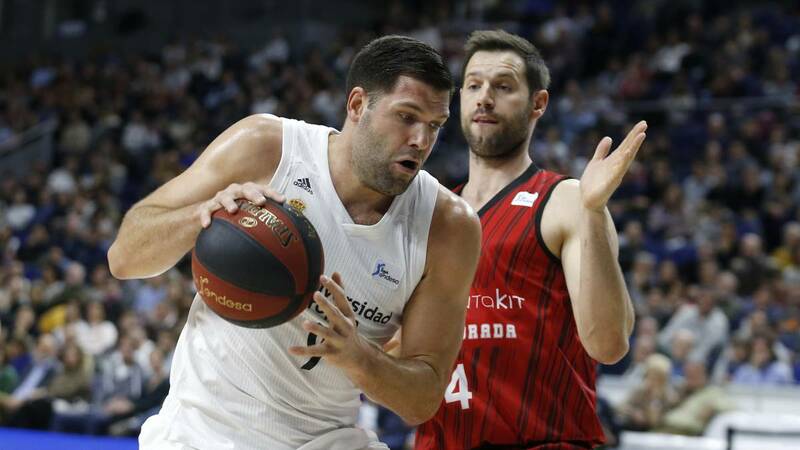 Felipe Reyes, captain of Real Madrid, has achieved, after playing against Montakit Fuenlabrada, a new milestone in his career by matching the record of Joan 'Chichi' Creus of matches played between National League and ACB League with 778 games. Your coach , Pablo Laso, praised the captain: "I've been training Felipe for eight years, and his career marks what he's been able to do in time." If he had to highlight something of him, it would be his day-to-day life. It leaves me very calm Independent of playing 1 or 40 minutes you know that he will give you things Every day he is prepared to sacrifice himself for the team, "said Laso. The coach also talked about highlights of his captain's game team. "I will not be original, the rebound has been a constant in his game without being the highest or the strongest . But he has also been gaining range of shooting over the years, not to mention the free throws and the things that they do not come out in statistics like putting good blocks to their peers, "he finished.